Can Pokémon GO be effectively used inside AND outside of the classroom? 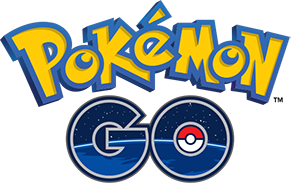 An article posted on The Conversation has suggested that we should look at how the Pokémon Go phenomenon can benefit students in ICT, Maths, Science, Health, Geography, English and more. Providing a hands-on, practical education, these hugely popular games capture student interest whilst developing skills across more than one discipline. Augmented reality apps are already used in education and provide important solutions to complex topics. Games such as Pokémon Go or Minecraft can be used to enhance problem-solving skills, encourage collaborative work, increase digital competency, teach students about financial literacy and enterprise skills, and provide regular exercise, allowing students to become creative, engaged and motivated. framing maths problems around the data available for each Pokémon such as height, weight and strength. For example, if I have 3,700 stardust, what combination of Pokémon can I power up that will use up all my stardust? Or Asha’s house is 600m from school. The only time she plays Pokémon Go is as she walks to and from school every day. How many days will it take her to hatch a 5.0km egg?